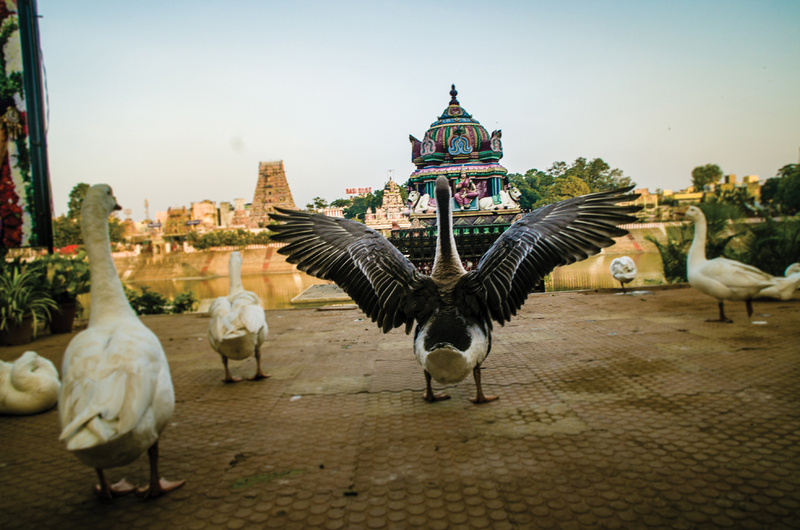 The ten-day annual festival of the Kapaliswarar Temple has just got over. As in all its previous editions, this year too saw a grand spectacle unfolding, with the deities being brought out twice daily on various mounts. The temple authorities, the volunteers and the police have more or less perfected the routine and it was a pleasure to see the way the entire event was rolled out. Thousands thronged the Mylapore area to witness the processions. It is these people who now need to improve on their behaviour if this celebration is to be really fit for the Gods. There was a time when tanneer pandals would be set up at various places for the benefit of pilgrims coming in from afar. What with the weather just beginning to hot up in March, these kiosks are necessary for they also dispense cooling refreshments such as water and buttermilk besides offering the weary a place to rest. Such tanneer pandals are also an integral part of Tamil culture, receiving mention in the 12th Century Periya Puranam itself. It is said that Appoothi Adigal, one of the 63 Nayanmars (Saivite saints), put up such pandals wherever Appar, one of the senior most in the same canon, went. It is therefore no surprise that tanneer pandals are put up all around Chennai on the 8th day of the Kapali festival when the 63 Nayanmars come out in procession with the Lord. The question is one of proportion. How many tanneer pandals make for adequate numbers and how many cause an overdose? Currently we appear to be veering sharply towards the latter. Anybody and everybody puts up these kiosks and there are several others who distribute food, water and cold drinks on the move, mobile tanneer pandals as they were. All of these, in the name of charity, cause huge problems of waste, cleanliness and garbage disposal. The Police, to be fair to them, have been very strict this year in issuing permissions for the setting up of tanneer pandals. Except for a few historic ones, no other kiosk was permitted to be put up on the four Mada streets proper. While this did have a salutary effect, the problem merely shifted to the side streets. These narrow lanes, which are unable to even handle routine traffic, became hard-pressed for space when these pandals began blocking them off. With so much of food being made available, it naturally lost its value as well. Several well-to-do people had evidently decided that this was the day to dine out. Many of these moved around the peripheral streets in two-wheelers and sampled food at the various kiosks. They ate what they liked, packed up some for those at home no doubt and as for what they did not like, that was simply thrown down and ground underfoot by the thousands who walked by. Add to this the plastic waste of cups, plates and bags and you have quite a monumental problem. There is yet another question that begs an answer – buttermilk, water, traditional refreshments such as panakam (a sweet drink) yes, but since when did biscuits and aerated drinks become part of our culture? And why do these have to be distributed? Lastly, does any category of people in Chennai, other than those below the poverty line really need food for free? In a prosperous city like ours, surely there cannot be so many people desperate for a free meal. It is time those who organise such kiosks think twice before they set out. It is best that the tanneer are reduced in number. If the urge to give food is still too strong then it ought to be done at old age homes and hospices that shelter the homeless.